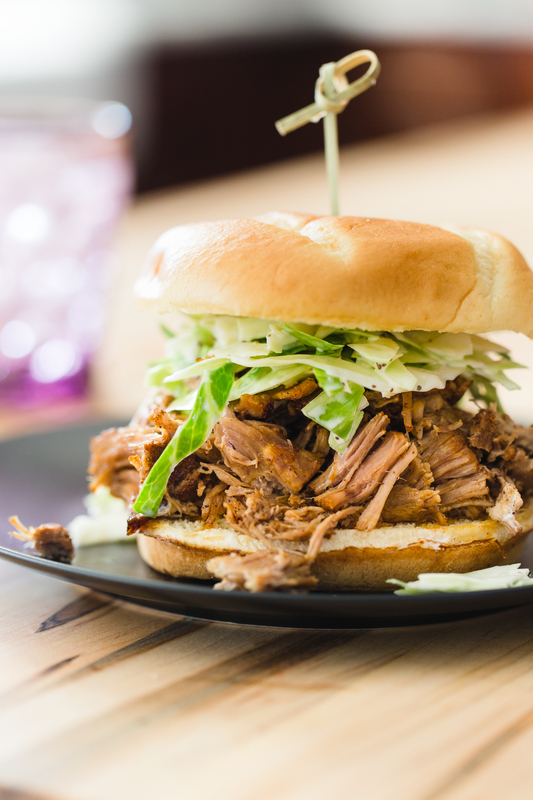 This post, Instant Pot Pulled Pork, is sponsored on behalf of the Ohio Pork Council. All opinions are, as always, my own. You might think because I write a food blog, that I love to follow specific recipes to the letter, but the truth is, I enjoy exactly the opposite. My joy of cooking comes from my desire to experiment in the kitchen and change things up every time I make a dish. 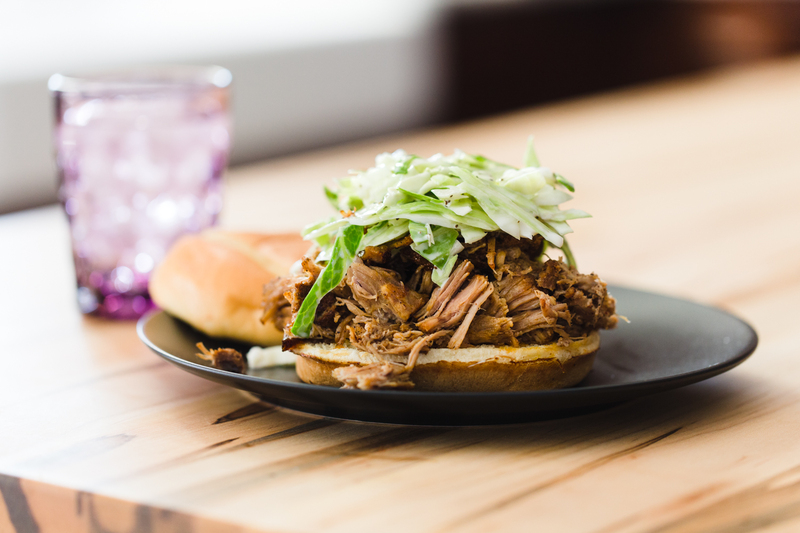 This Instant Pot pulled pork is the perfect example. Having gotten my Instant Pot last winter (don’t miss my Instant Pot Buffalo Chicken Soup) and spending time getting to know it, I realize that cooking with it is like learning a method of cooking rather than specific recipes. This speaks right to my happy place. I have made this Instant Pot pulled pork countless times over the last 6 months, but each time is slightly different. That difference comes in the way of a variety of spice rubs, slightly different rations in liquids, and changing up serving options. And what is amazing about it, is that it always turns out tender, moist, and delicious. My favorite cut of pork for Instant Pot Pulled Pork is a great marbled pork shoulder. It’s got a good amount of fat to keep it from drying out but that can be removed after cooking if you so choose. When it comes to spice rubs, I like to change mine slightly each time depending on what I have in my spice cabinet. In the video, I use a combination of chili powder, onion powder, salt, black pepper, smoked paprika, and cayenne pepper. Many spice rubs call for brown sugar, which is a great added flavor for a touch of sweetness. Feel free to use your favorite spice rub recipe or your favorite store bought version. When it comes to liquid, I have used broth, vinegar, and liquid smoke. This ration can be tweaked and even changed out if you are inspired by different cooking liquid ingredient. This is where your creativity can come to life! Searing the pork before pressure cooking helps the pork keep a bit of texture and avoids it turning to mush in the Instant Pot. The fact that you can do searing and pressure cooking all in the same pot is one of my favorite things about this kitchen tool. No dirtying endless amounts of pots and pans. If you haven’t tried making pulled pork in an Instant Pot or other electric pressure cooker, wait no longer! In fact, make a batch for this weekend’s game day. 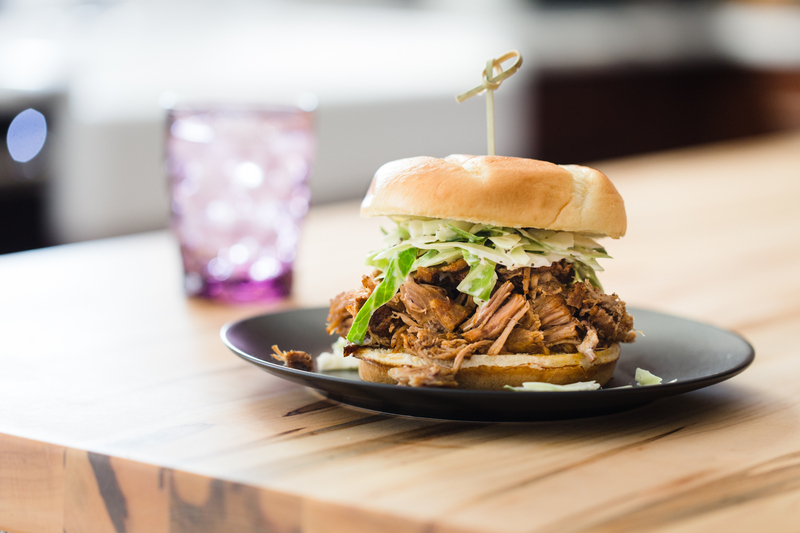 Serve it up with some buns, a variety of BBQ sauces, and some coleslaw for good measure. Rub pork with spice rub until evenly coated. Add oil to Instant Pot and set to sauté. Allow oil to heat for about 2 minutes. Working in small batches, sear pork for several minutes on each side. Remove first batch and sear remaining pork. Return all browned pork back to Instant Pot. Add liquids to the pot. Place on lid and lock. Set valve to sealing. Turn Instant Pot on high pressure for 75 minutes. When pork is done cooking, allow pot to depressurize naturally until disc drops. 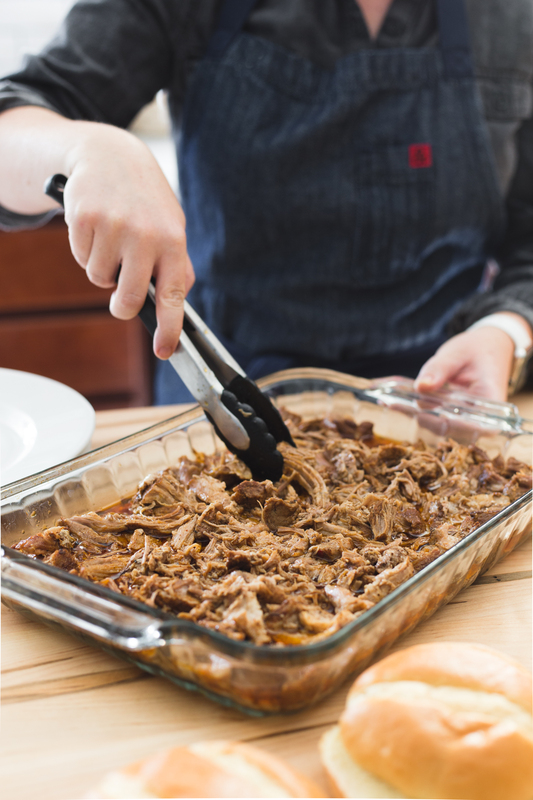 Remove pork from pot and shred with forks. Pour a bit of the cooking liquid over pork. 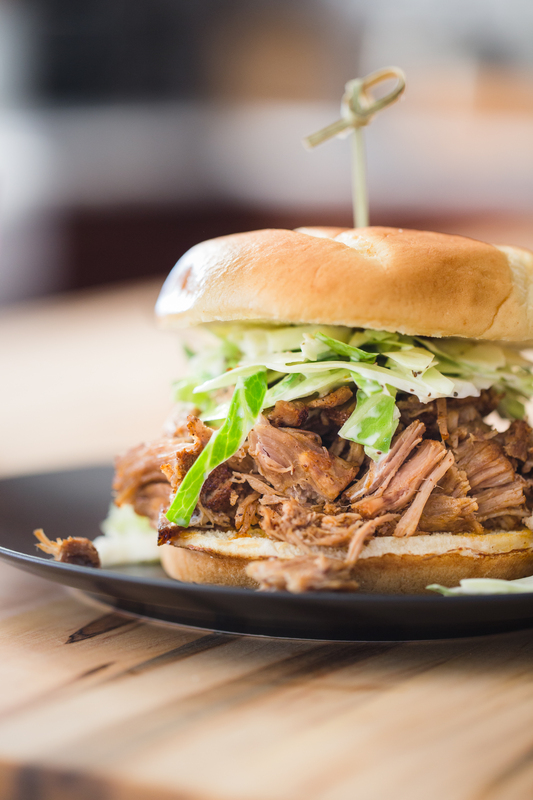 Serve pork on buns with BBQ sauce and coleslaw if desired. You can use your favorite spice rub. I used a combination of chili powder, smoked paprika, salt, onion powder, black pepper, and cayenne pepper. You can add brown sugar for some sweetness if desired.